This organization is composed of volunteers who are interested in supporting the mission of the Jessye Norman School of the Arts. These volunteers assist in school activities, help prepare receptions, and sponsor a Fund Raising activity each year. The funds from this event are usually earmarked to help with specific needs of the school. For example, the friends helped to fund the building of the new kitchen for the school and helped to fund our teen podcasting program. This year we are planning The Ann N. Johnson Vintage Hat Show to be held at Richmond on the Greene on March 23rd, 2019. We look forward to another successful fundraiser! Donate to the friends of JNSA! One of our founding Board members shares her love for gardening with students from the JNSA afterschool program. 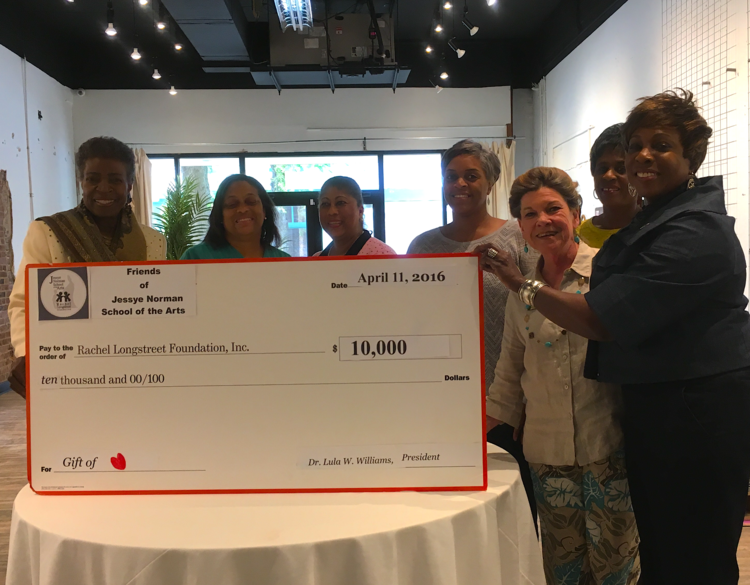 Friends of The Jessye Norman School of The Arts have been supporting the school financially since its inception in 2003. JNSA regularly presents programming at community events that could only be possible with the volunteer support offered by the "Friends. ".